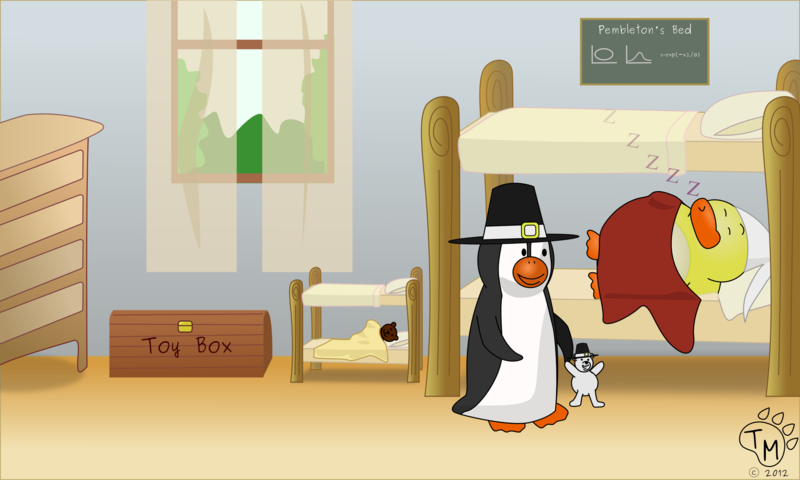 Thanksgiving morning, Pembleton and Blizzard got up early and woke up Ducky and Ted (who were still snoozing at 8:30am). 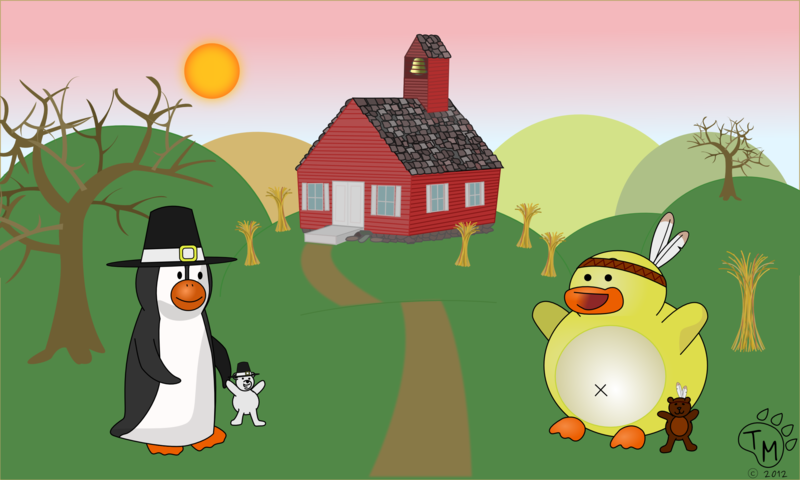 After Ducky and Ted got their costumes on, it was time for them to head to school. At school they learned about Thanksgiving and why they celebrate it. Finally, they celebrated the holiday with a big feast and plenty of pie. 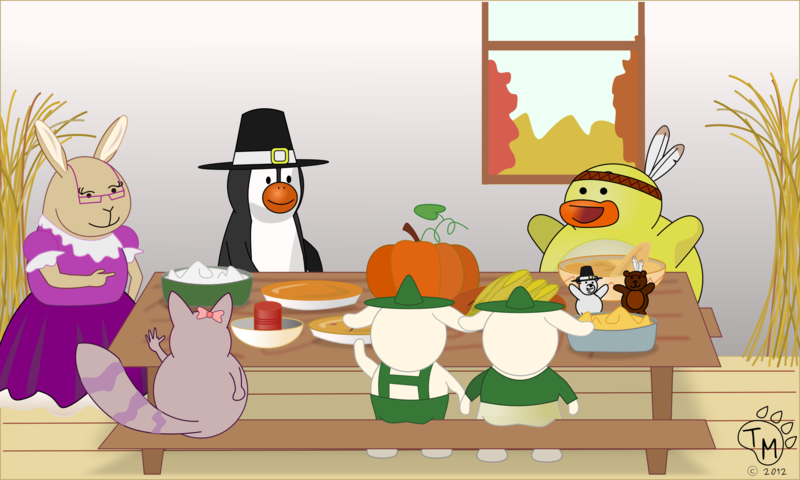 Ducky and the gang wish you a wonderful and happy thanksgiving. They also wanted everyone to know how thankful they are for all of their great fans.